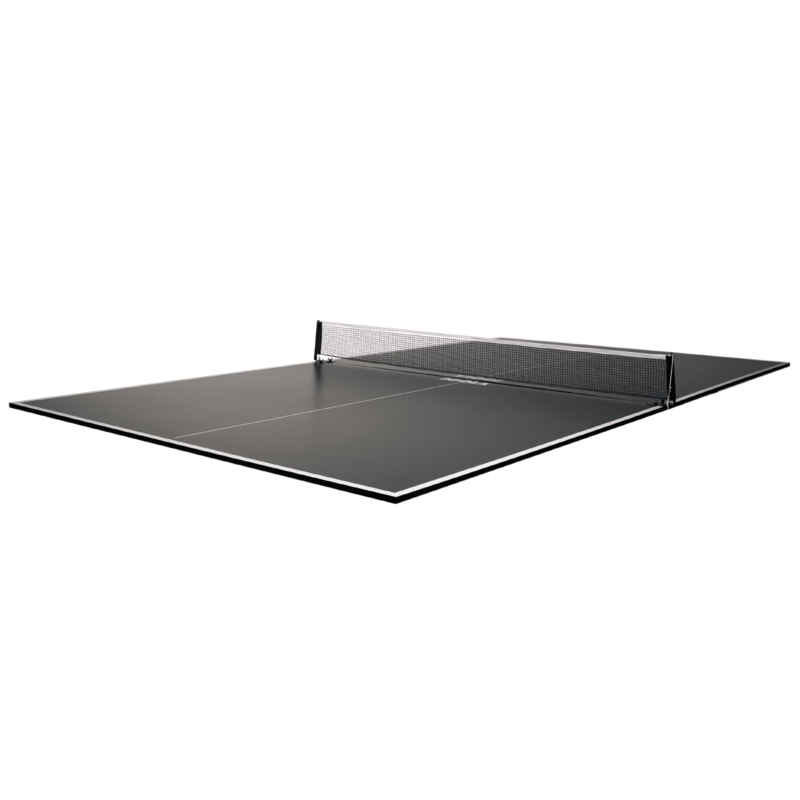 The JOOLA Conversion Table Tennis Top with Foam Backing and Net Set is the ideal option for converting your billiard table into a full functioning table tennis table. The Conversion Top comes with two separate halves and a net and post set ensuring a quick and easy set up. The Conversion Top features a sleek, charcoal black color with a standard 15 millimeter MDF surface, providing a consistent ball bounce and preventing warping. The underside consists of soft EVA foam padding that creates a protective cushion between the billiard table and the conversion top. Foam padding allows you to easily switch between billiards and table tennis without damaging any equipment. Recommended for billiard tables up to 9 feet in length. Start playing like a champion with equipment developed for champions! JOOLA is a proud sponsor of USA Table Tennis. * Transform your billiard table into a table tennis table in no time!